The Michael Crouch Innovation Centre (MCIC) is the newest force driving innovation within the UNSW landscape, lead by COO, Brad Furber. 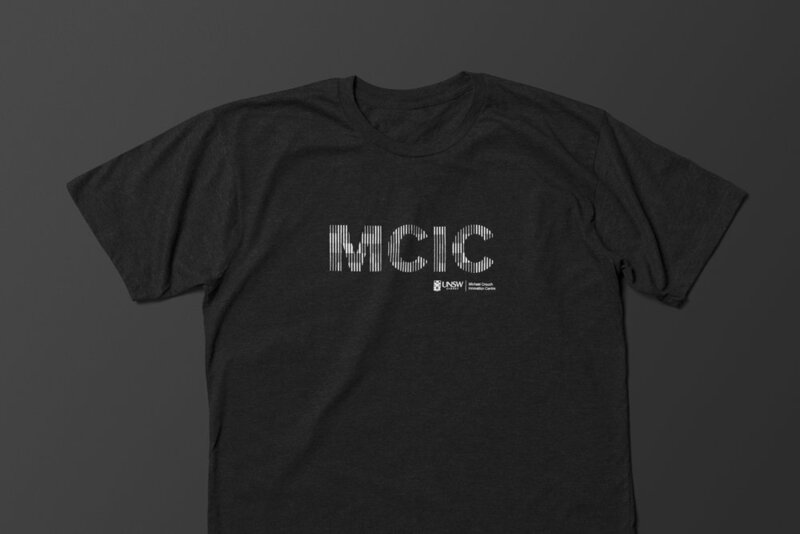 MCIC aims to incubate purposeful projects and programs that empower a community of makers, hackers, speakers, thinkers, doers, mentors, experts and of course beginners, sparking a problem-solving mentality that can influence and contribute to the emerging ideas economy here in Australia and beyond. The ethos is simple yet powerful: to make a positive change in society, bringing together cross-disciplinary teams to help solve real world problems. One not only needs their minds to think, dream and speak about change, but also their hands to tinker, test, and build to create change! Our aim was to create an identity system that represented the core purpose of “an emergent force, fostering innovation to create a better world”. The challenge was to design future-ready branding, whilst working within the existing UNSW brand landscape. Our insight for this rebrand was inspired by the built environment of the MCIC, drawing on the binary architecture and the legacy of Matt and Gail Taylor (of MG Taylor) who held a 3 day DesignShop with the MCIC community during their in-house residency in 2016. The space is University-enabled and community-powered, working in the background to facilitate change and inspire a new way of working within the walls of UNSW.